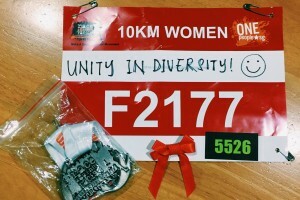 Race Against Racism, Support Racial Harmony – Orange Ribbon Run 2016 | JustRunLah! OnePeople.sg, the leading advocate for multiracialism, have been contributing to relentlessly spread the message of harmony and organize the annual Orange Ribbon Run! This year, this special event will be held on 10 September at Bayfront Event Space. If you are undecided, here are 4 reasons why you should join their cause and spread the movement! After the spate of terror attacks that have taken place in Europe, Deputy Prime Minister Teo Chee Hean urged Singaporeans to strengthen their resolve to maintain peace and racial harmony in the nation. 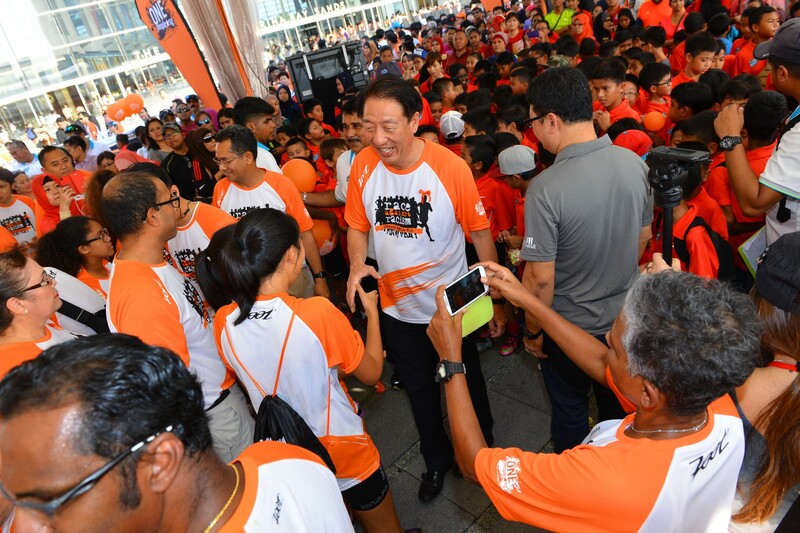 Deputy Prime Minister Teo Chee Hean in the Orange Ribbon Run 2015. If there’s ever a race which is particularly meaningful and significant, this is it! We all want to be able to coexist peacefully with our neighbours of different races – and we know that we can’t take racial harmony for granted. 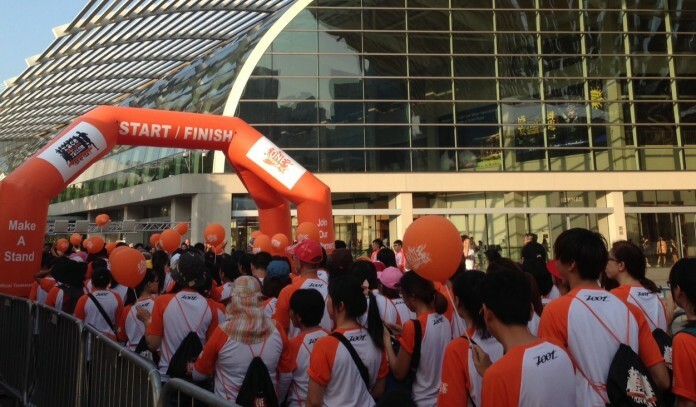 Here’s the chance – the Orange Ribbon Run 2016 that serves as a rallying point for Singaporeans to come together and show support for the multiculturalism in our country. 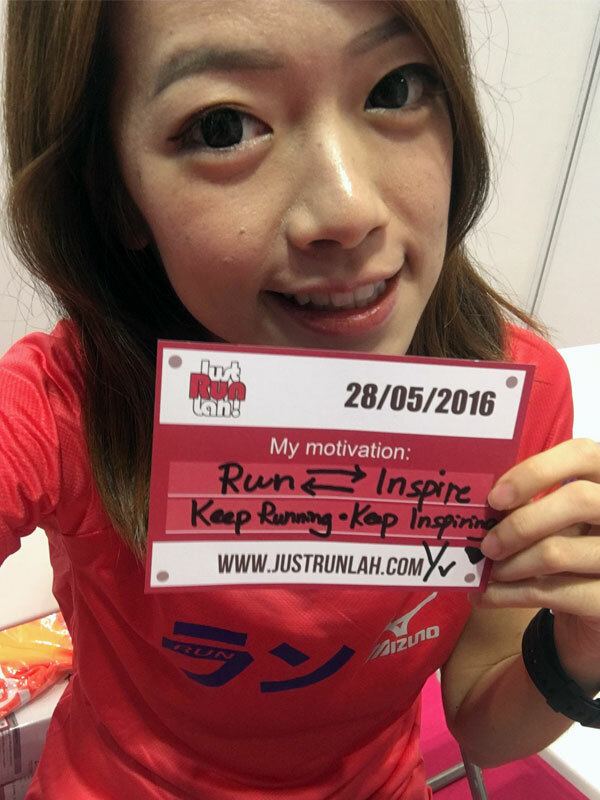 The registration ends on 12 August 2016, so act fast and don’t miss this Singapore’s one and only run against racism! First hit in 2012, Orange Ribbon Run is a signature event with the good reputation among runners. Check out the Orange Ribbon Run reviews by the past participants: Swe Hao Yi (5km) and “Ah Girl” (10km). You’ll not want to wait for another year! Race Review: “Ah girl” showing her last year Orange Ribbon Run race bib and finisher medal! 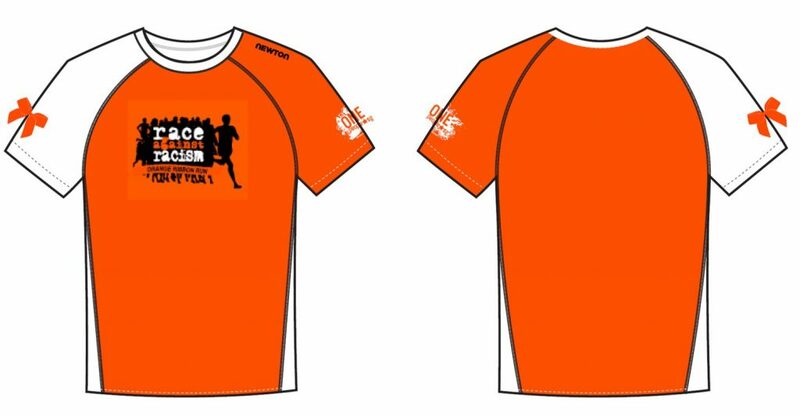 You may want to take a look of the Orange Ribbon Run’s participant Tee and get the right size for yourself ASAP before it sold out! 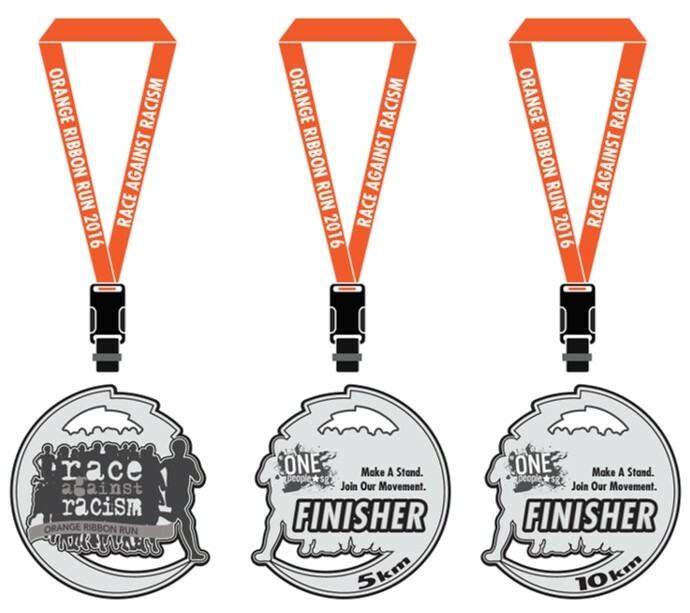 Have you seen the finisher medals for the Orange Ribbon Run 2016? We know this is crucial for you too! They look great! And don’t forget the meaning behind these – In Singapore, the Orange Ribbon is adopted as a symbol of respect, understanding, trust and friendship. So we call on Singaporeans to come together and wear these proud! You can be one of the orange troops in the Orange Ribbon Run 2016 or you can take a memorable #selfie or group photos and share on social media. Either way, you are showing your support against racism and increasing awareness! If you are a PAssion Card holder or a past participant, you will be enjoyed the privilege of $5 OFF in 5km and 10km individual categories. Don’t worry if you are not! You can still save with JustRunLah! Our readers can now enjoy $5 OFF for all categories! Use promo code: FD001JSRNLH during check-out to claim the special price. Or, you may consider taking part in the Buddy or Corporate Categories to enjoy more discounts! This will be a perfect environment that facilitates deeper interaction and better understanding between you and your running buddies. 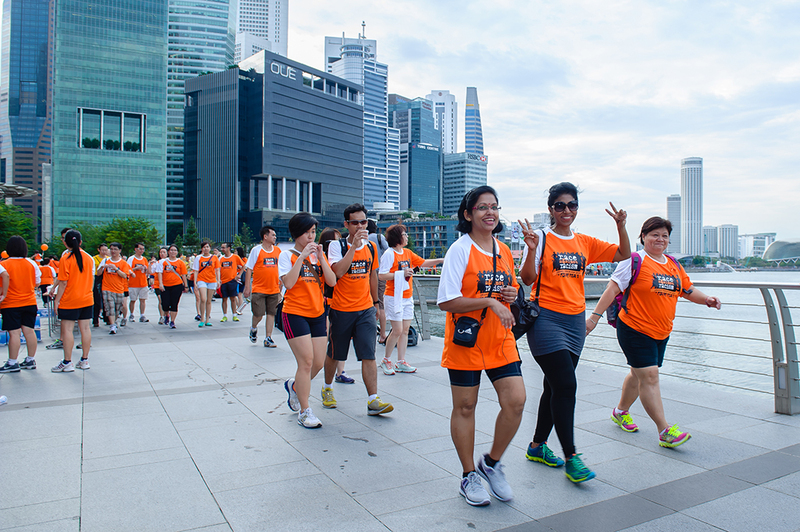 Make a stand against racism by joining the Orange Ribbon Run and spread the movement, where every step you take, is a step towards fostering a united, harmonious and multi-racial and religious nation we call home. Show your support before the REGISTRATION ENDS SOON! Click here to get your Orange Ribbon Run 2016 tickets quickly before they sell out!